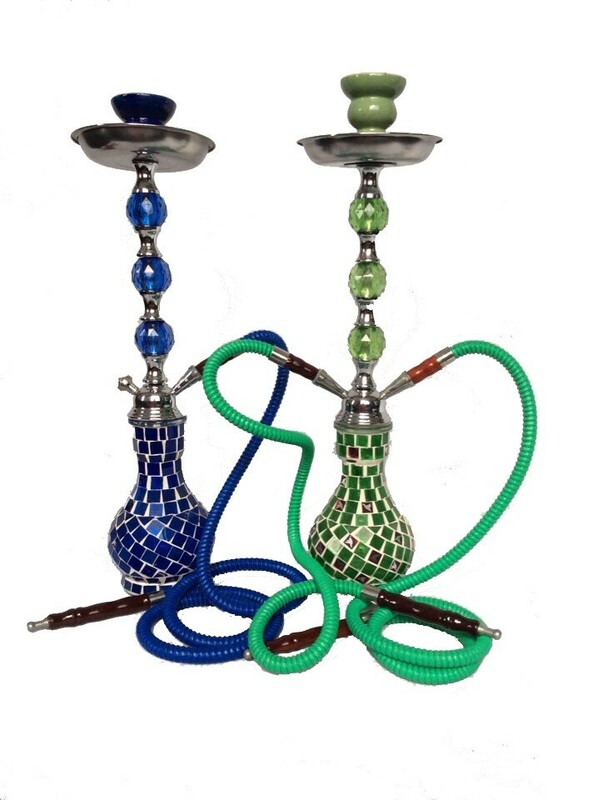 Green And Blue Mirror Mosaic Designer Medium Hookah(1.2 m normal hose) Popularly known as 'Shisha', hookah was used to smoke Marijuana and tobacco in the ancient times. Owing to its classy looks,and base is made of spacial acrylic material used and round shape bowl design base . with the rest of the attachments are made of metal . The glass chamber is decked with square blue and green painted and natural mirror pieces in mosaic design. size is 1.2 m normal hose.